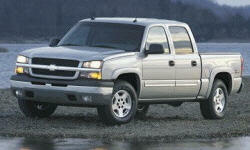 Chevrolet Silverado 1500 Materials & Workmanship Pros and Cons | Page 1 of 1 | Why Not This Car? This year vehicle has 2 TSB issues: steering wheel clunk and squeaky seats. Both have been fixed but there are other groans and squeaks beginning to develop. The dash materials could be better...but it is not a major thing. The top of the dash uses very hollow, cold and hard plastic. 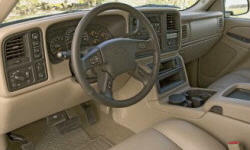 And the radio surround is very cheap as well..but again, these are small gripes. Fit and finish was terrible. Very noisy to drive.